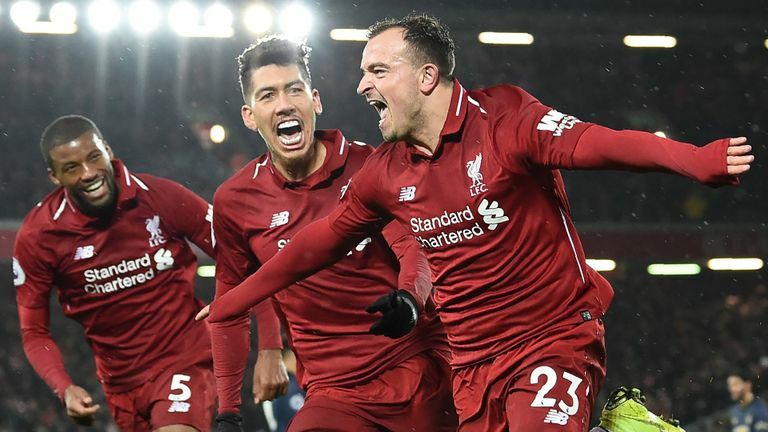 Liverpool will be hoping they can temporary move four points clear at the top of the Premier League summit when they take on Wolves at the Molineux on Friday night. The Kops have been in scintillating form since the league start and they are still the only unbeaten side in the division. With Man City playing Crystal palace on Saturday, a win for the Reds will see them move onto 45 points, three ahead of the Citizens. However, they come up against a side that has already taken points off Man City, Man United, Arsenal and also defeated Chelsea 2-1. Wolves winger Diogo Jota is ruled out because of the hamstring problem that forced him off against Bournemouth. Head coach Nuno Espirito Santo has no other new injury concerns. Liverpool right-back Trent Alexander-Arnold is again set to miss out with a sprained ankle, but he should return over the festive period. James Milner, who sat out Sunday’s victory versus Manchester United because of a minor muscle problem, is expected to be available. Wolves head coach Nuno Espirito Santo. “It makes you proud that when you have a bad moment and you get out of it, the way we did it, credit to the players – we solved it. Liverpool manager Jurgen Klopp on Wolves. “What they did last year in the Championship, I am not sure that happened too often. Wolves have beaten Liverpool in two of the last five meetings, with both of those wins coming at Anfield – including in the FA Cup fourth round last year. However, their last win against the Reds at Molineux was on 29 August 1981. Liverpool, then reigning European champions, gave debuts to Mark Lawrenson and Bruce Grobbelaar in that game, which they lost 1-0. Wolves are winless in four Premier League home meetings, with their only goal a 90th-minute equaliser from Kenny Miller in a 1-1 draw on 21 January 2004. Liverpool’s haul of 45 points from their opening 17 league games is their best at this stage of a top-flight campaign. The Reds have won their last five games in league and cup. They have earned seven successive league victories against newly-promoted sides, scoring a total of 23 goals and conceding just twice. The team top of the table on Christmas Day has gone on to win the title in 14 of the 26 previous Premier League seasons, and in eight of the last nine campaigns (the exception being Liverpool in 2013-14). Wolves will be the 27th different side Liverpool manager Jurgen Klopp has faced in the Premier League – he has beaten all previous 26 opponents at least once.